They type of ground you are building on. The height and length of the retaining wall. What materials you want your retaining wall made from. 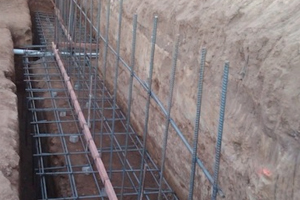 Retaining wall footings are dependent on a number of things listed above and will make a difference in the strength and durability of your retaining wall. We can pour a number of different retaining wall footings to suit the environment and purpose that your retaining wall is built for. 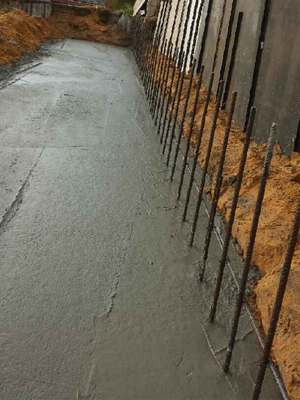 Let Hume and Sons Concreting take the headache out of building a sound footing or foundation for your retaining wall. Our experienced professionals with over 30 years’ experience can help you plan, design and construct the footings for your retaining wall. 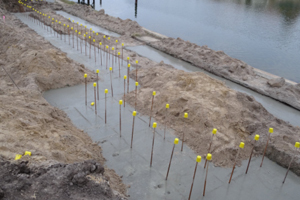 THE RIGHT FOOTING FOR THE RIGHT APPLICATION! 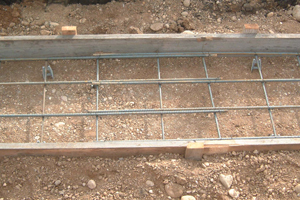 CONTACT US TODAY FOR A QUOTE ON RETAINING WALL FOOTINGS!